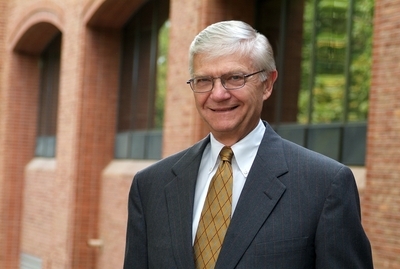 After 28 years of practicing law with the firm of Hunton and Williams, Taylor Reveley became Dean of the William & Mary Law School in 1998. In February of 2008 he became the Interim President of the College, and was sworn in as the 27th President in September 2008. Reveley received an A.B. from Princeton in 1965 and a LL.B. from the University of Virginia in 1968. Taylor Reveley's publications are available here.